Enjoy your morning tea and biscuits around this charming A-grade teak and wicker outdoor dining set. This set combines a classic round teak pedestal table with contemporary wicker dining chairs. 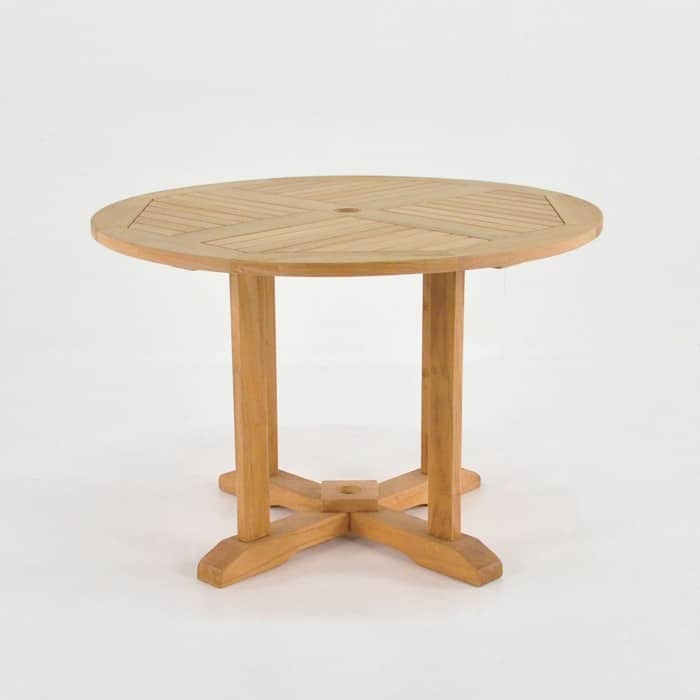 At Design Warehouse we love mixing and matching A-grade teak dining tables with wicker dining chairs. Both materials are made for the outdoor environment to be sure that you can enjoy this outdoor dining set for many years to come! This outdoor dining set features our 90cm round teak dining pedestal table with two chalk (white) outdoor wicker Zambezi dining chairs. The Zambezi dining chairs are contemporary and simplistic and showcase the beautiful teak dining table. As this tables ages it will patina and will look stunning next to the chalk dining chairs. Enjoy your morning tea and biscuits around this charming A-grade teak and wicker outdoor dining set. 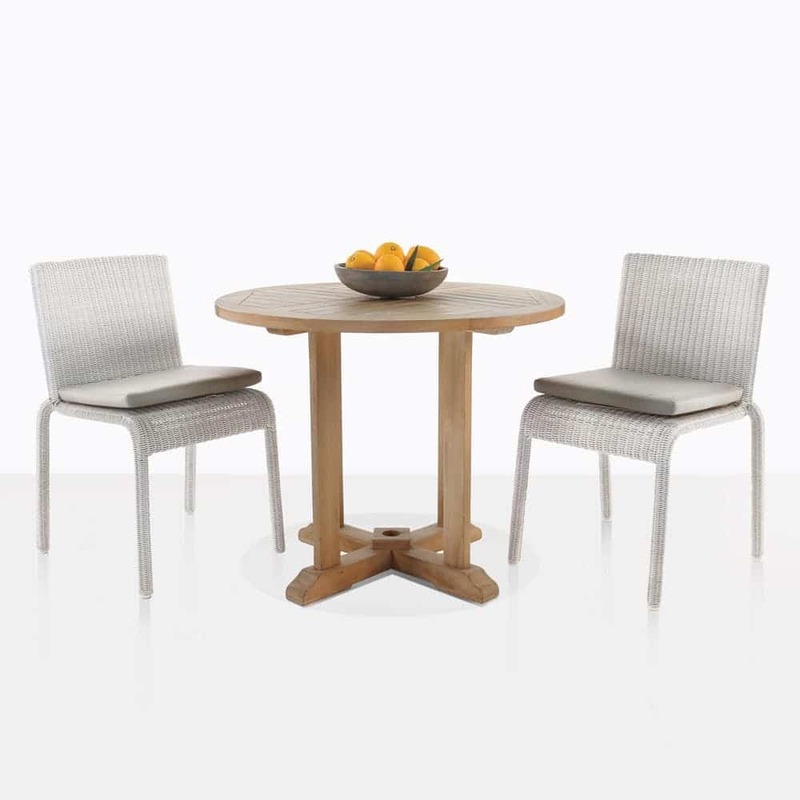 This set combines a classic round teak pedestal table with contemporary wicker dining chairs. 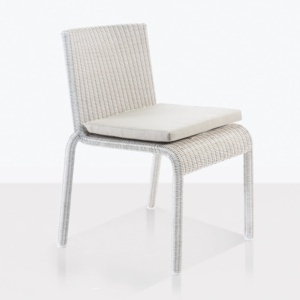 At Design Warehouse we love mixing and matching A-grade teak dining tables with wicker dining chairs. Both materials are made for the outdoor environment to be sure that you can enjoy this outdoor dining set for many years to come! This outdoor dining set features our 90cm round teak dining pedestal table with two chalk (white) outdoor wicker Zambezi dining chairs. 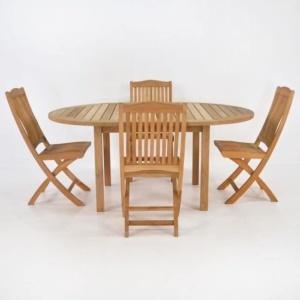 The Zambezi dining chairs are contemporary and simplistic and showcase the beautiful teak dining table. As this tables ages it will patina and will stunning next to the chalk dining chairs. Not only is this outdoor dining set charming and graceful but it is made with the highest quality materials to ensure that you will continue to enjoy outdoor living everyday during the spring, summer and fall. This outdoor dining set is easy to maintain. With a quick wipe down with mild soap and water this outdoor dining set will continue to look its best. We suggest storing the outdoor wicker chairs indoors during the harsh winter months. 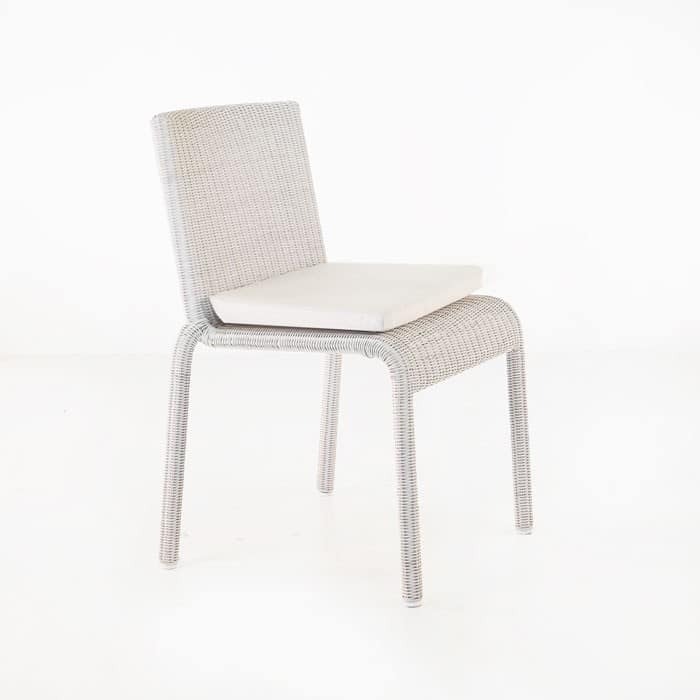 The Zambezi dining chairs are stackable and won’t take up much space. It doesn’t get much better than waking up and starting your day by dining outdoors in the fresh air. Call us today or visit our warehouse if you have any questions. We have many outdoor dining sets to choose from!